To all my wonderful patients that helped to make this happen. I will be forever grateful for your help. We did it! 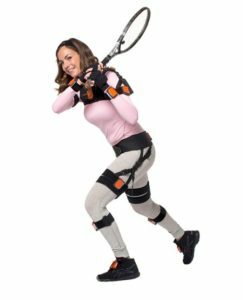 We are seeking tennis players to be participants in a scientific study focussing on shoulder injuries. We are conducting a local research project in the Bath and Weybridge/West Byfleet-areas in conjunction with the University of Bath Sport and Exercise Department during June-August 2017. 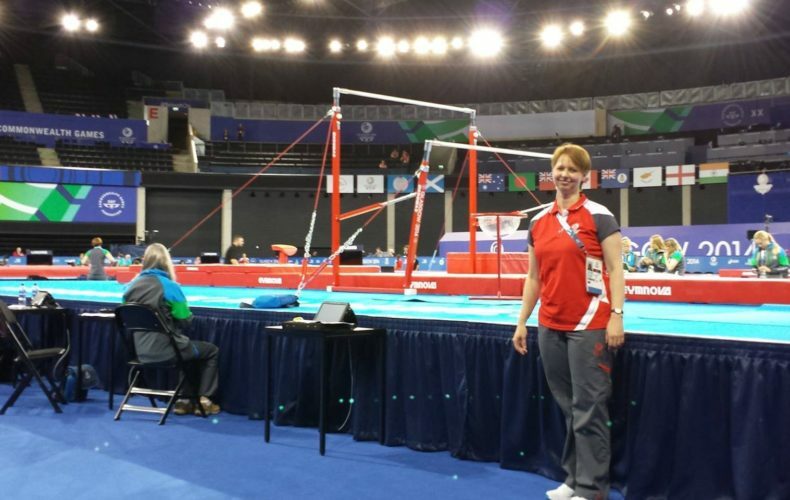 The tests will take place at local indoor tennis clubs in Weybridge area and in the Bath area. The duration of the testing is approximately 2hrs. This study has now been completed. The second part of the study will take place in due course and all applicants will be invited to participate via email. All results of each individual participant will be sent via email after completion of the study. We would like to thank all study participants and their coaches for such an overwhelming response and interest in this study! It is much appreciated and will benefit many sports groups and individuals in future. Functional movement screening (FMS) is a tool that consist of 7 tests. It is widely used by trainers, coaches and therapists to predict if an athlete is at risk of injury. Many have raised their scepticism regarding the true value of using these tests as injury predictor. In a recent systematic review (Moran et al., 2017), documented that FMS composite scores prediction and injuries that occurred, did not correlate. ‘Moderate’ evidence exist ‘against’ using FMS in football injury prediction. 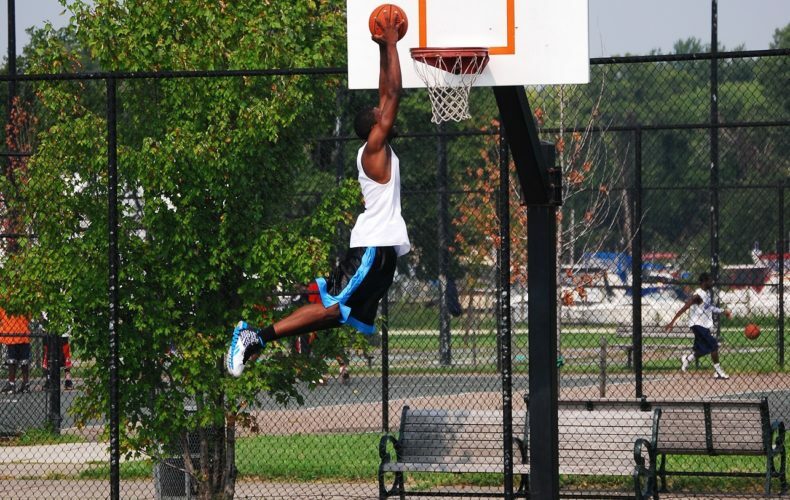 Limited and conflicting evidence exists in basketball, running, police and firefighters. Various cases were assessed and ‘strong’ evidence was found that a high FMS composite scores, predicting a high injury risk, only resulted in a small amount of injuries sustained in military personnel. Although FMS has good to excellent inter- and intra-reliability, it is advised not to base injury prediction on FMS, as it is inaccurate. Tennis elbow (lateral epicondylitis) is pain that presents on the outside of the elbow. What effect does back pain have on the movement pattern of the upper limb and trunk during overhead hitting or throwing? During throwing the thoracic spine influence the scapulo-thoracic position and glenohumeral motion. A thoracic kyphosis produce both abduction and protraction of the scapula and changes the orientation of the glenoid. This reduces the clearing space for the humeral head and increase anterior translation. 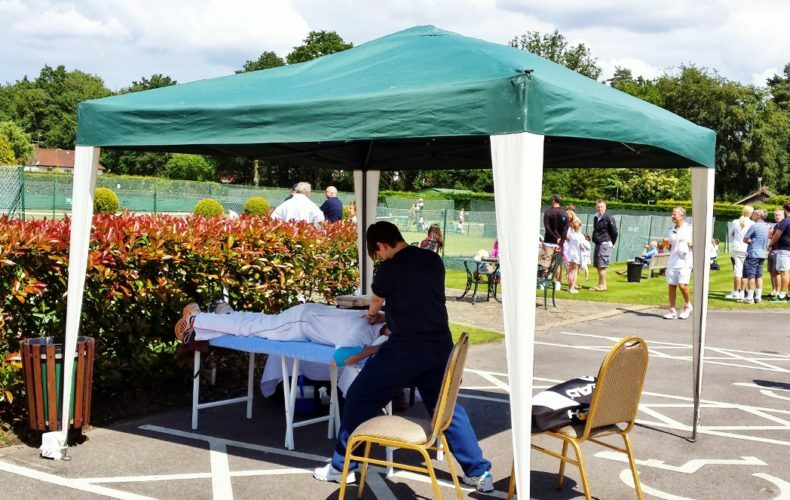 29/06/2014: During the annual St George’s Hill Lawn Tennis club Championships Meyer & Associates provided pitch-side physio therapy services to all the participants. 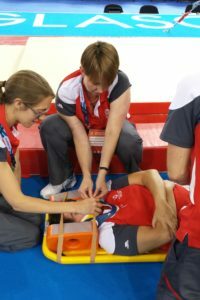 A treatment area was set up under a gazebo with a physiotherapy plinth and other equipment where our physios were on hand to help with any injuries, pains and sore muscles. 1. What is Thrower’s elbow? 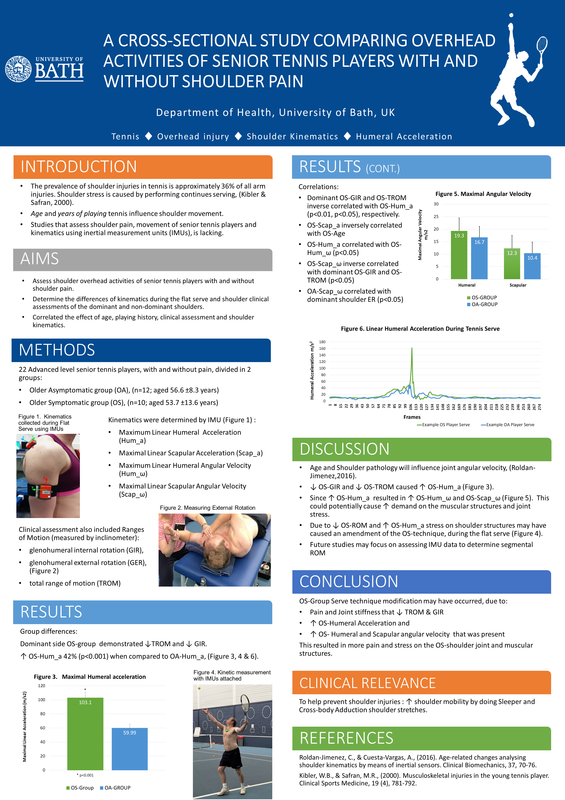 The Anterior Cruciate Ligament (ACL) is the primary knee stabiliser that prevents anterior laxity of the tibia in relation to the femur and provides rotational knee stability (Negus et al., 2012). In the United States, approximately 200,000 Anterior Cruciate Ligament Reconstructions (ACLR) are performed annually at a cost of $3 billion (Brophy et al., 2009). 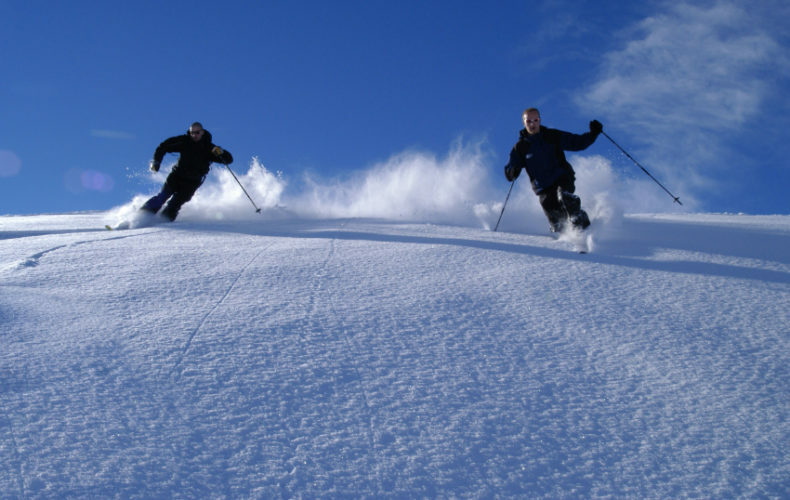 Devastating evidence estimates up to 10% of professional alpine skiers will end their careers due to ACL ruptures or tears (Pujol et al., 2007).